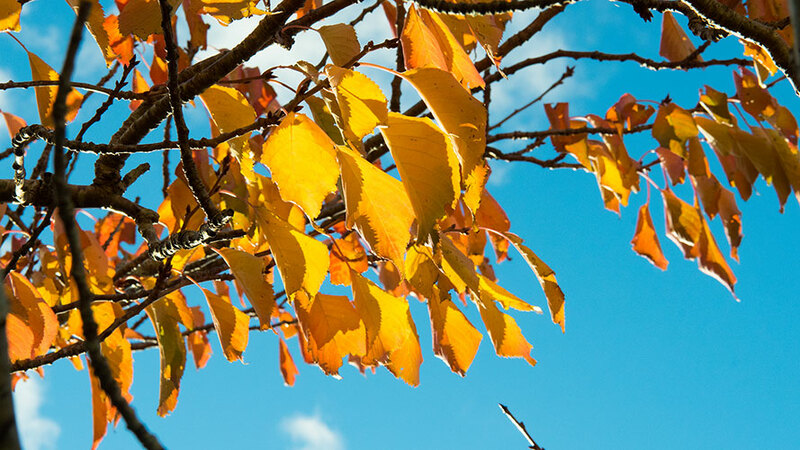 Nothing signals the beginning of autumn like the end of daylight saving. The days are shorter, the air is cooler and filled with the scent of damp earth and wood smoke. Autumn also means winter is just around the corner, bringing increases to food prices and a reduced selection of local produce. With the seasonal shift, now is the time to consider how your food is being stored in your kitchen. As a student, and a chef, I wanted to share some simple steps you can take to help your budget over these cooler seasons. As the temperature drops and the days get wetter, dampness can cause havoc in pantries and cupboards, especially in older apartments and houses. Storing your food in airtight containers is the best way to protect it from dampness, and from mice and insects. Invest in some one-litre plastic containers—these are great for storing ingredients and leftovers in an organised way. Spend some time reorganising your fridge and freezer. Make sure they’re clean and not overcrowded, as fridges and freezers need adequate air flow to correctly chill or freeze food. Wipe up spills as you go and do a regular check for out-of-date food. Get in the habit of labelling and dating your food—yes, I know this sounds pedantic, but it helps you keep tabs on when food was bought or first opened and how long you have before it goes off so you can plan to use it in time. It’s all about avoiding food waste and saving you money, and with winter on the way, every cent counts. Trust me on this, no one is more frugal than a chef! Autumn happens to be my favourite season of the year, and whenever I think of autumn, I think of apples. Currently in season, apples are an affordable ingredient, so to end, I’ve included a rendition of the classic apple crumble. This can be made gluten-free using oat and flour substitutions. Peel apples, remove the cores and slice into finger-width wedges. Place wedges into a pot of simmering water and cook until wedges are soft but still hold their shape. Drain away liquid, then fold through mixed spice and set aside to cool. To make the crumble topping, in a bowl, mix together 75 grams softened butter, ¼ cup of brown sugar, coconut, rolled oats or rice bran, plain flour or gluten-free flour and table salt. The ingredients should form a biscuit dough. Set aside the bowl. To make the salted caramel, in a pot, place condensed milk, 10 grams of butter, 1 tablespoon of brown sugar, sea salt and golden syrup. Bring to a simmer, stirring constantly to avoid burning. It will thicken and begin to taste like caramel. 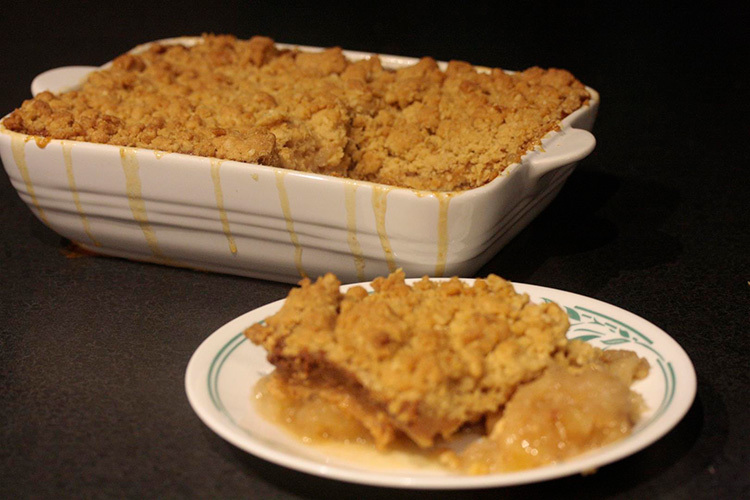 In a deep ovenproof dish, layer the apple wedges on the base, pour salted caramel over the wedges and top with crumble. Bake in the oven at 180°C for 15-20 minutes or until the top is golden brown. Mat Gorrie is a first year arts student studying Art History, Philosphy and Cultural Anthroplogy, and has been a chef in Wellington for 15 years.